Efrain was born in San Juan, Puerto Rico and raised in Bronx, NY. Megan was born and raised in Pennsylvania. The two met in college, where they both gave their lives over to the Lord. Soon after college, Efrain and Megan were married and began to get plugged in at a local church where they led a college ministry, life group and prayer team. It was during this time God began to stir a passion and desire for Efrain to enter into full-time ministry. After several years of schooling and mentoring, God opened a door in Kilgore, TX. 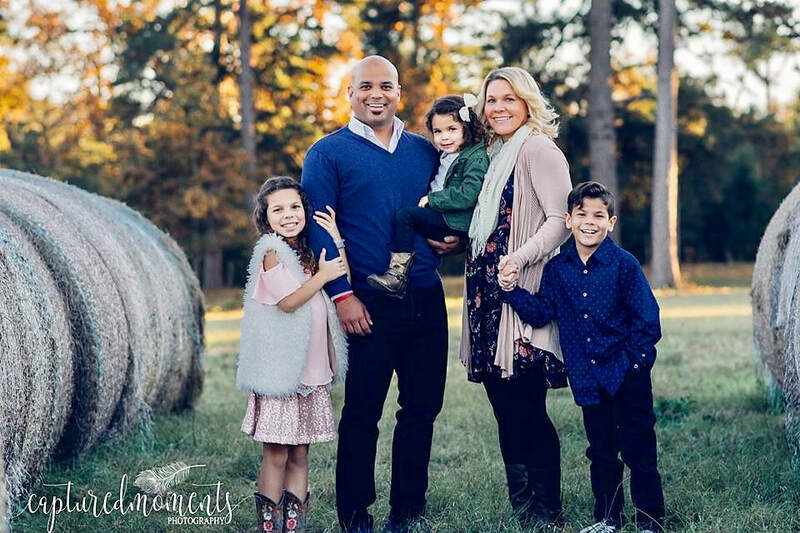 Efrain and Megan made the radical decision to quit their lucrative jobs, move halfway across the country with their little ones and serve God and His people in Texas. Over the past year, God has been working in both Efrain and Megan’s heart to church plant. He has given them a passion and desire to plant specifically in Houston, the fourth largest city in the United States and the most diverse city in the world; a city who watched homes and lives being destroyed by a great flood only to turn around and win the World Series several weeks later; a city of resilience devastated by a storm and a team that has surpassed everyone’s expectations. Houston Strong! Efrain & Megan are confident God has called them on this mission and they are excited to reach many people for Christ. They plan to move to Conroe (North- West Houston) by January 2019 and launch Merge Church in the fall 2019.